Time to treat yourself! 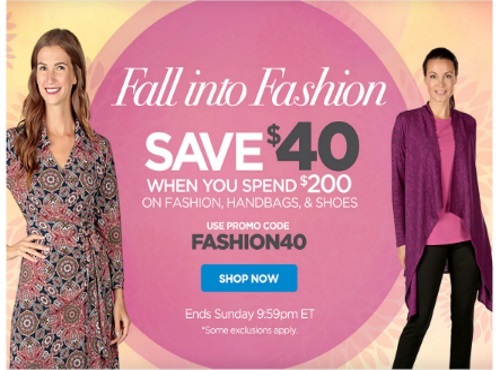 The Shopping Channel is offering $40 off when you spend $200 or more on fashion, handbags and shoes with the promo code below. Enter the promo code FASHION40 at checkout. Offer ends Sunday, September 4, 2016 at 9:59pm ET.